After continuing to receive additional spam daily through the same campaign that I posted here a week ago, I decided it was time to escalate things. It became apparent that the Unsubscribe link on these e-mail messages wasn’t doing anything. If the FTC enforced the CAN-SPAM Act this would be the proper venue and for now it’s about the only action that we can take. 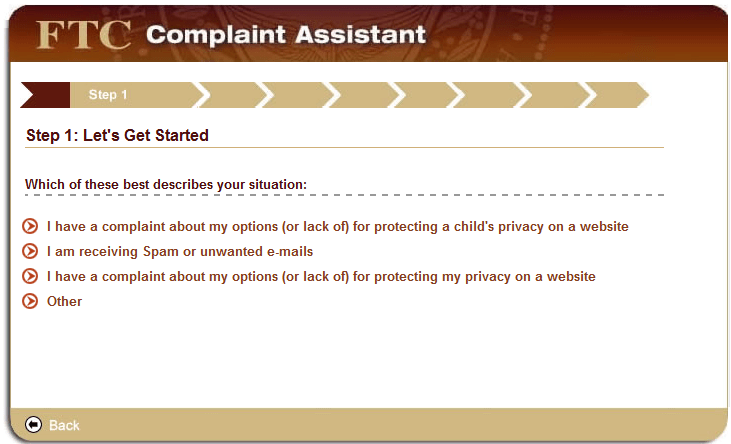 On the left-hand side, you can click ‘File a Complaint’ to move to the next step. 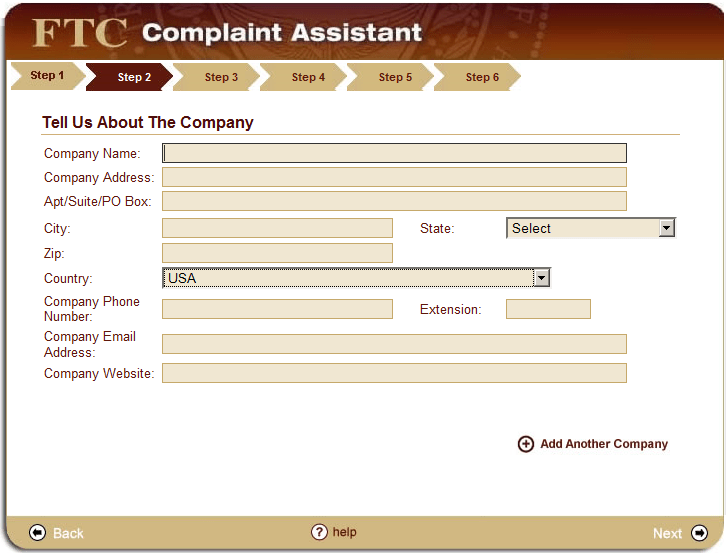 Click the FTC Complaint Assistant logo to get to the Complaint Assistant form. 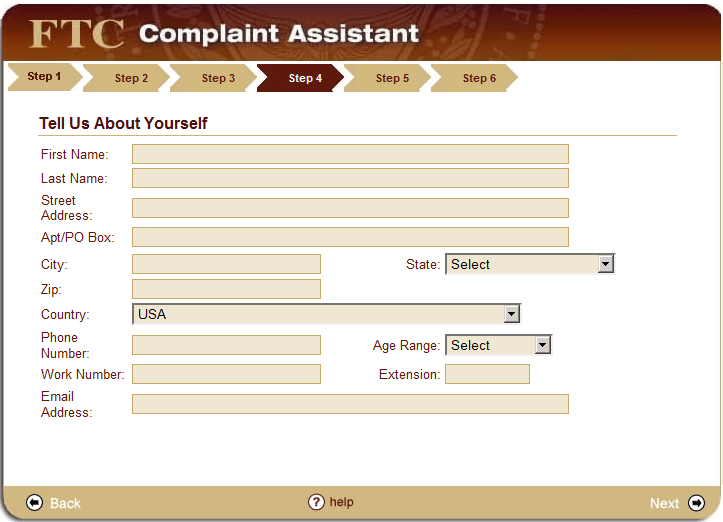 That link launches the FTC Complain Assistant wizard which will guide us through filing a complaint. You should answer the questions as they are relevant to your situation. 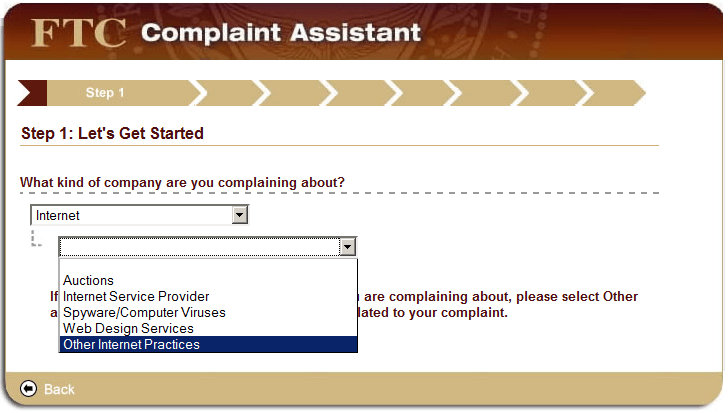 To get to complaining about spam, you would answer that it isn’t regarding identity theft and is most closely related to dissatisfaction with other business practices. 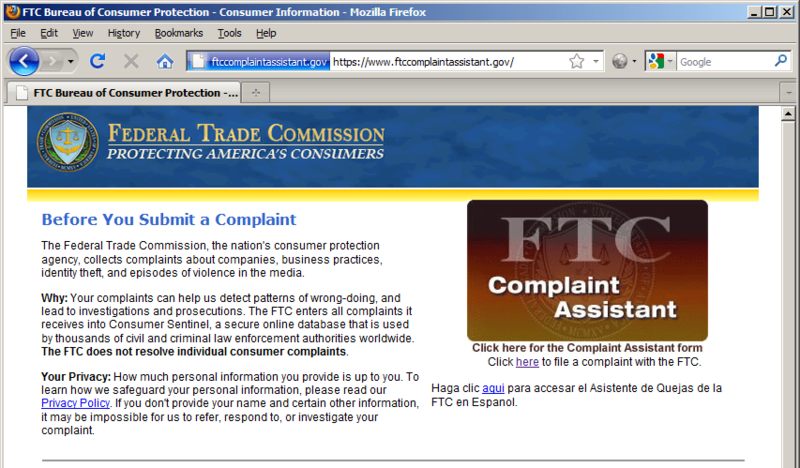 On the next page, in my instance, the company is an Internet company offering other internet Practices. 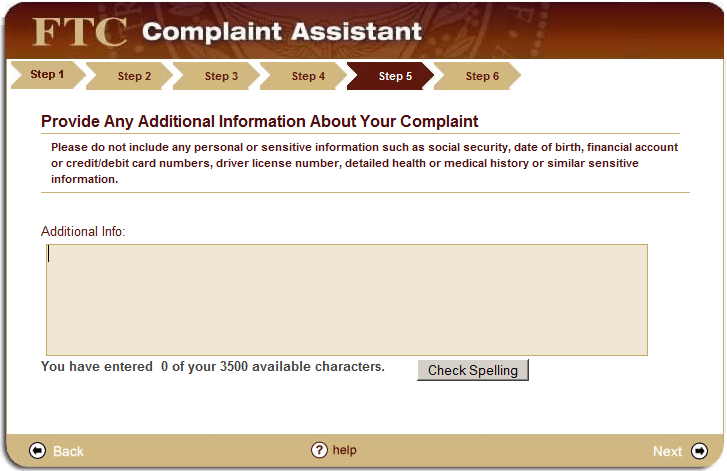 Then click on the ‘I am receiving Spam or unwanted e-mails’ option to continue. 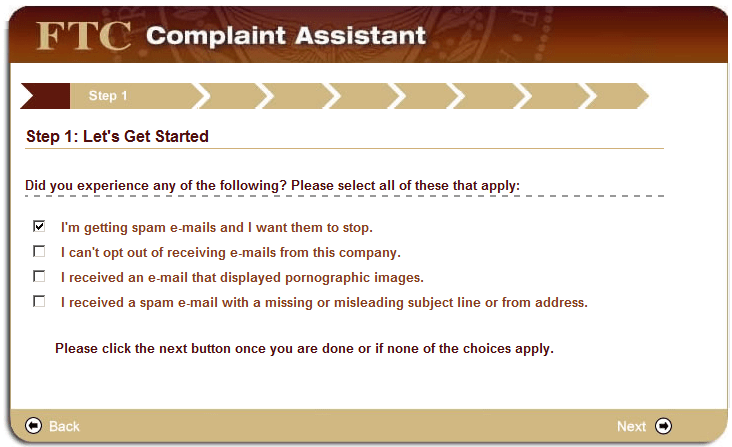 Select the options that are relevant to your complaint that describes the spam behavior and different areas of the CAN-SPAM act that the business may not be complying with. After this step, you’ll be asked if you have more information about the company or the spam. If you say yes, you’ll be led down the path to explain that information. 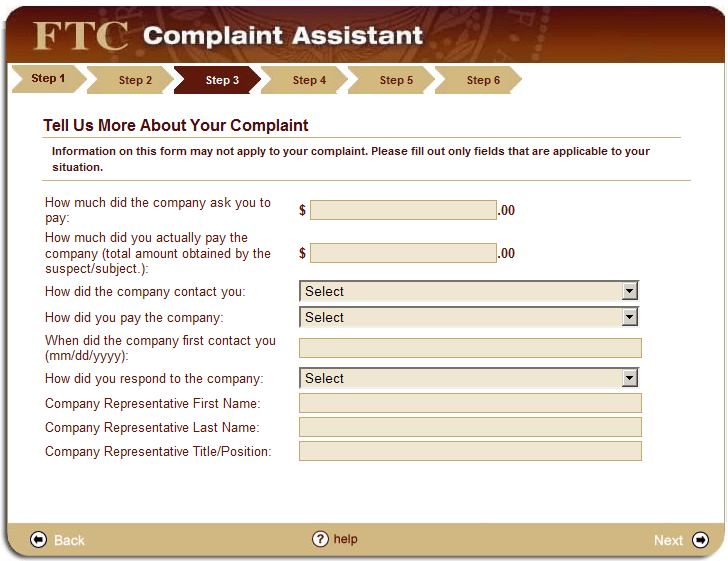 and finally fill out any additional information that should be shared with the FTC to follow through with your complaint. When all is completed and submitted, you’ll receive a reference number and a confirmation e-mail to the address you provided in the contact information with that reference number. 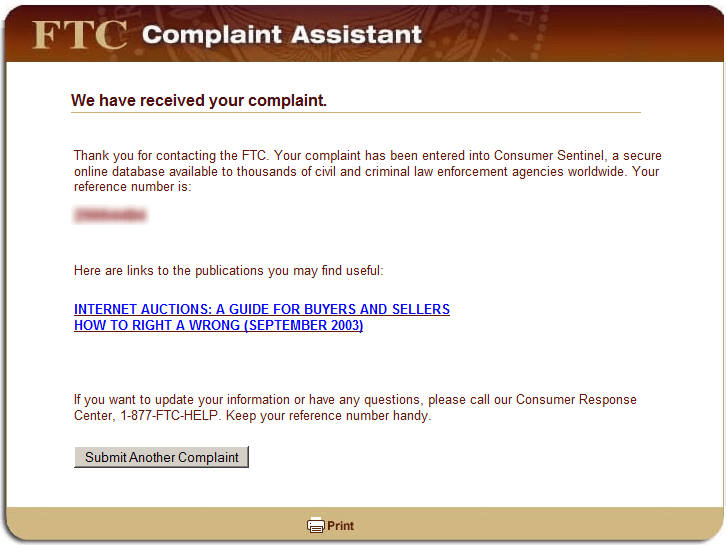 Your complaint is now submitted and we can only hope that the FTC may step in to enforce the CAN-SPAM provisions if there indeed has been a violation. 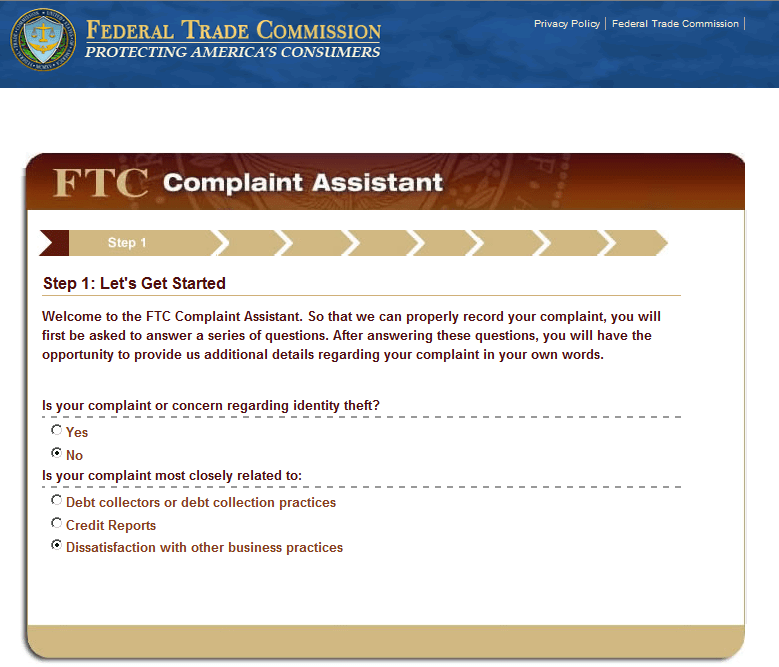 If there are numerous complaints from other people, your voice may convince them to take action on other consumers’ behalf. 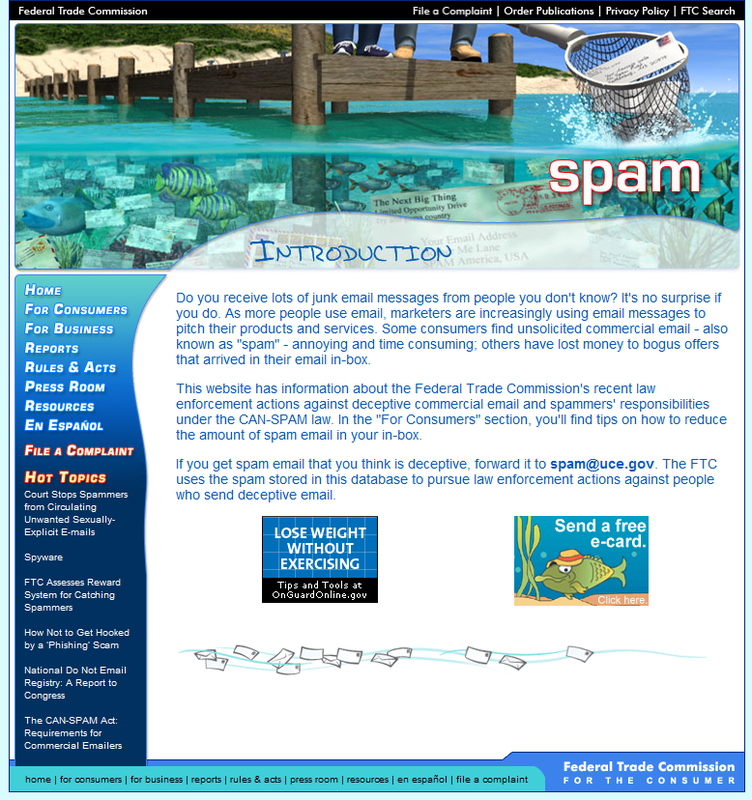 If you’re a business and want to make sure you’re compliant with the CAN-SPAM act, review this guide for businesses.